If you thought the Stink Bug was bad, strap in for the Spotted Lanternfly. - Greenlink Inc. 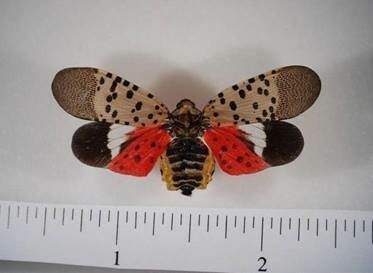 Spotted Lanternfly is the newest invasive insect, and it’s here in Maryland! So what do we need to know about the Lanternfly and how can we prepare? First of all, why is this a problem? So far we know that the Lanternfly primarily feeds on Ailanthus and Walnut trees. However, it will feed on almost any hardwood tree as well. And more importantly, it loves Grape Vine and Hops. This could be devastating to the local Vineyard and Brewery Industry. Which in turn may boost the price of your favorite wine! Scared yet? What if you’re a homeowner? Well, if you have mature hardwood trees on your property, you can expect a sticky mess which becomes a moldy mess. Because a byproduct of the insect is Honeydew. It is the waste resulting from the Lanternfly. So far reports have likened infested areas to having a light rain of Honeydew (Lanternfly waste). GROSS! Even on sunny days, you may need the umbrella! This leaves a transparent sticky substance that will cover your outdoor furniture, roofs, cars, patio, and decks. If an object is near a tree with Lanternfly infestation, it will likely be stained and damaged. To make matters worse, this “Honeydew” grows a greyish black Mold called Sooty Mold. Break out the pressure washer! And by the way, Honeydew attracts high populations of insects like Ants and Bees. Are we freaking out yet? What can be done? Contact an Arborist! Greenlink Arborist can inspect your property for Lanternfly egg masses and remove/destroy them before hatching. 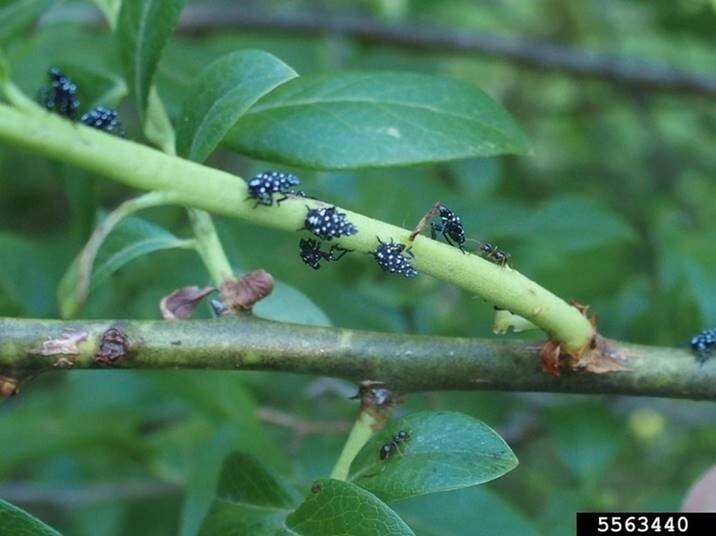 Targeted chemical treatments can be sprayed to reduce populations of the adult Lanternfly. Also, removal of some host trees such the Ailanthus will help reduce populations. Preventative treatments will always be the best form of control! Stay tuned as we monitor the migration of this pest. Currently, the Lanternfly is in southeast Pennsylvania, Cecil County MD, and part of central VA along the I-81 corridor. Greenlink will send updates as the pest works its way into central MD, DC, and northern VA. See below images to study the Adult (1st), Nymph (2nd), and egg mass (3rd). Be on the lookout for all 3 stages of Lanternfly! !